Write Time Literary Portfolio Magazine. 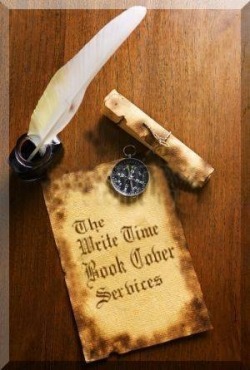 The Write Time Book Cover Services can help you with your book cover today. Have you ever heard the saying "Don't judge a book by its cover"? Well, how many people do you know, that buys a book because of its cover? I know a lot. I do it myself. I have bought a many book because of the book cover. So let us help you with your book cover today. If you email Our Personal Director, he will find a book cover artist that can meet your needs writetime@ymail.com You must email us your book description, and what ideas you would like seen in the cover for your book. After an visual artist is assigned to your book. We charge $35 dollars for 1 front/1back book cover. If you want an author picture placed on your cover you must send it with your email. Payment is not required for your book cover up front. You pay when it is complete. Once the small sample cover is sent to you and you approve it. Then you may send payment by paypal, (you can use the paypal button below" Once payment is received we will send you a full sized front and back cover without the watermarks. Note: If you wish to place the Cover Designer inside of your book Cover on the copyright page of your book, you may display our service as "The Write Time Literary Services".